Dear Diary (otherwise known as you my dear coffeeholic readers who sympathize with me), Acne has come visiting again. Almost every month I share with you on what's happening with my war against acne. Unfortunately for me, its been acting up again. I blame it on barely sleeping nights, lack of water, aaaaand this month I'm kind of guilty of not being faithful in my skin care cleansing routine. Which is bad coz now I'm reaping the effects of not using it. Skin care products and medications, especially to treat acne are growing steadily in the market. I totally understand coz who wouldn't want clear, beautiful, acne-free skin? It's crazy how there are so many products out there in all forms, shape, and size. The no. 1 question though is -- do these products really treat acne? For years now, the gold standard of treating mild to moderate acne is the benzoyl peroxide. This is because it is a topical antimicrobial medicine, an oxidizing agent that specifically kills P. acnes, the bacteria that cause acne breakouts. To a lesser extent, it also helps to unblock pores and has an anti-inflammatory effect. BPO is not an antibiotic, and in 50 years of use, there has never been a documented case of BPO bacterial resistance; it is the cornerstone of prescription and over-the-counter acne therapy. And Proactiv Solution knows that. That’s why Proactiv Solution has Micro-crystals (micro-crystal medicine) benzoyl peroxide! The exclusive form of benzoyl peroxide (BPO) found in the Proactiv 3-Step System’s Renewing Cleanser (Step 1) and Repairing Treatment (Step 3). A crystalline BPO that is finely milled in order to achieve the pore penetration required to control the acne cycle. The Proactiv micro-crystal BPO features exceptionally small and uniform particles—designed specifically to penetrate pores faster and to be gentler on the skin. While it may seem counter-intuitive, harsh scrubbing does not unclog your pores any better than gentle cleansing, and may actually worsen your acne. Cleansing and scrubbing only reduce surface oils and dead skin cells. Many people use harsh products, laden with alcohol and foamy surfactants (detergents) somehow wash the acne off their skin. However, these actions often produce irritation and worsen acne. That happened to me once and it felt like my face burned. Never again! Now, it is possible to gently unplug pores with fine polyethylene beads that gently relieve impacted pores without irritation. Proactiv Solution does not contain any surfactants that can harsh the skin. This is a relief to know. Proactiv® Renewing Cleanser is formulated without the harsh detergents, known as surfactants, found in many other cleansers. Surfactants, which are responsible for a sudsy foam and lather, strip skin of its essential oils. As a result, the skin’s barrier becomes damaged and vulnerable to irritation and infection. Salicylic acid in a cleanser breaks through the plug but does not kill the P. acnes bacteria, the bacteria that cause acne breakouts. Acne is caused by a variety of factors that take place below the surface of the skin. That’s why it’s best to gently wash with a medicated cleanser with proven ingredients, like benzoyl peroxide, or sulfur, that can penetrate the skin to help unclog pores, kill bacteria and/or reduce inflammation. When acne is severe, dermatologists sometimes prescribe oral drugs like isotretinoin or hormonal pills. There are studies that support that these methods are extremely effective for severe cases, but because of the nature of these drugs there are side effects that make it questionable if the benefits truly outweigh the cost. For example, there were reports in 2010 linking suicidal tendencies and psychotic behaviors among acne patients on isotretinoin. Hormonal pills, which are mainly indicated as a contraceptive sometimes causes water retention, weight gain, mood swings, and in the long run, even breast cancer. Proactiv Solution does not have these side effects! With all these information about the advantages of using Proactiv, then of course my advise to you who seeks relief from acne is to try it yourself. Proactiv is SAFE and EFFECTIVE in preventing acne because of Benzoyl Peroxide. It's gentle on your skin unlike harsh soaps. It is more effective than Salicylic Acid coz it kills the root cause. And much much safer than oral drugs. 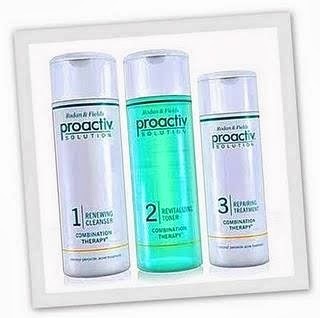 Go ahead and free yourself from acne problems with the help of Proactiv. 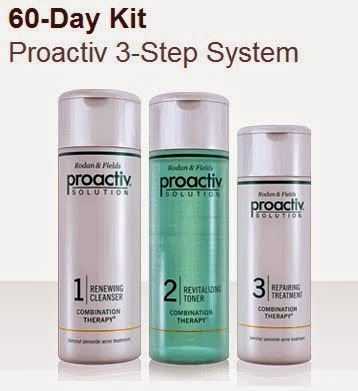 For more information, do visit the Proactiv Website. Kai Romero. Simple theme. Theme images by Jason Morrow. Powered by Blogger.